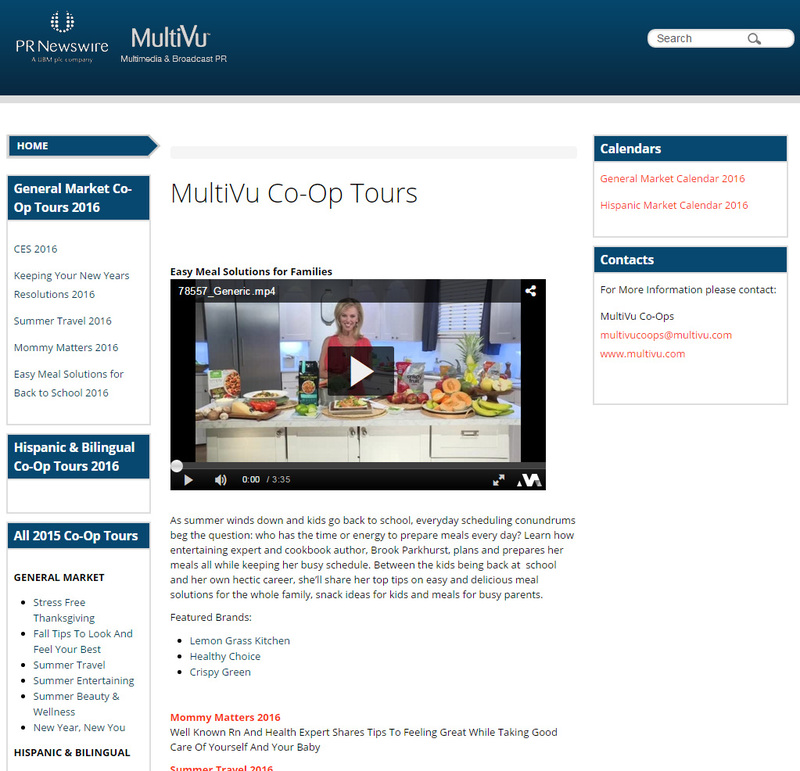 MultiVu, the award winning content creation, distribution and media strategy division within PR Newswire, has launched its Multimedia Broadcast Co-op Satellite Media Tour calendar for 2017. Need a timely news hook to gain exposure for your product launch, awareness campaign or brand? Searching for a credible spokesperson to tell your story? MultiVu has done all of the planning for you. From Mommy Matters and Holiday Gift Guide, through all major trade shows (CES, KBIS, SEMA), and lifestyle events; we have a tour to fit your needs. If you still don’t find the right fit, we can customize a co-op for you. If your goal is to target a multicultural audience, we are not only continuing to offer a new assortment of top-notch talent and tour topics, we are also offering bilingual co-op media tours targeting English and Hispanic stations in top markets nationwide. All of our tours are open to four non-competing brands and will help you get exposure on TV, Online and radio, delivering the highest ROI in the business. 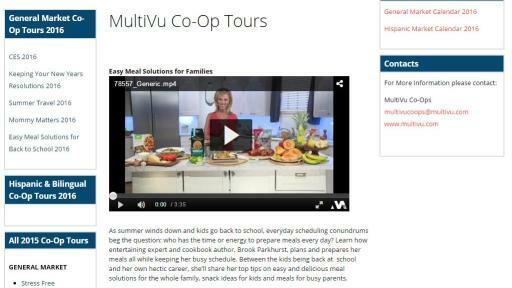 MultiVu’s multimedia broadcast Co-op Media Tour offers premium multimedia distribution that incorporates all of your needs: live streaming of the entire tour which can be viewed from anywhere in the country; photo on The Reuters Sign in Times Square to help lengthen the reach of your message; and nationally syndicated placements on Newsupdate, Coffee with America, USA Radio, and Cable Radio Network guaranteeing an audience of over 10 million.